The LY-CC403HD-SW swingable and LY-CC403HD flat safety release buckle are designed for 3/8" lanyard straps. The LY-CC403HD-SW can swing approximately 180 degree. LY-CC403HD-SW can perfectly fit on the back of neck. Both of them are very easy to install, no special tools needed. 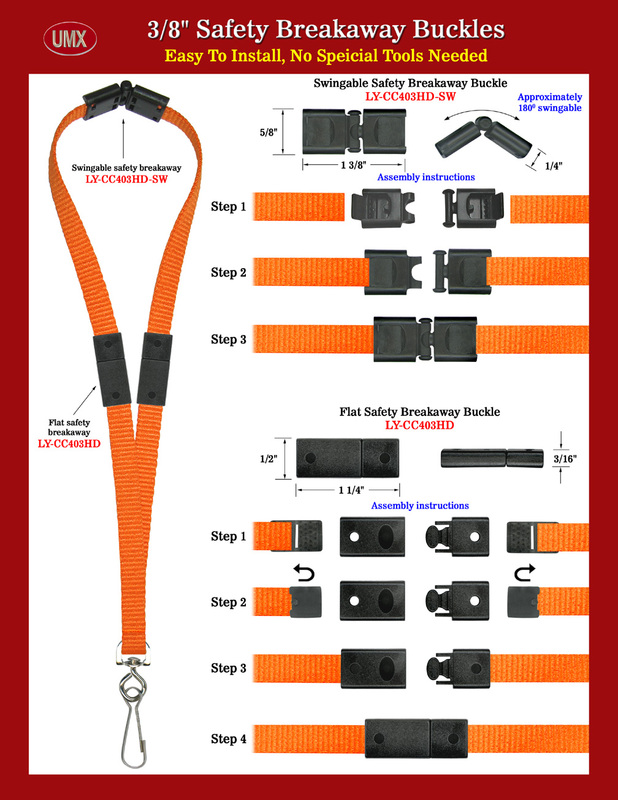 The following photo will show you the step by step procedures of how make your own safety breakaway lanyards. The LY-CC403HD-SW can be installed on the left, right or back of neck. Great compact and small size safety buckle for your smaller size safety lanyards making.